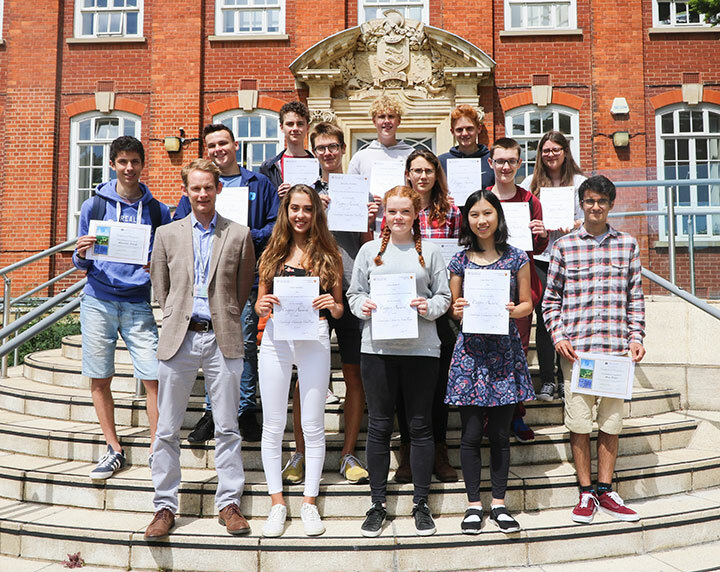 Home > News > Cambridge Chemistry Challenge Success! This year, we entered twenty-six students for this prestigious internationally recognised competition. Out of these, 20 received either a Copper, Silver or Gold award for their efforts. Recognised by Universities and employers globally as a true test of resilience, the Cambridge Chemistry Challenge is more challenging than regular A-level chemistry papers. Those who attempt it are rightly recognised – regardless of actual outcome – as individuals who are prepared to take on a challenge. This in itself is an attribute prized by higher education institutions and employers all over the world and as such gives participants a real advantage in their University applications. Congratulations to everyone who tried it! Top row L-R: Fintan King, Alex Gankerseer, Jack Etherton. Middle row L-R: Alex Scovell, James Ford, Barnaby Roberts, Abby Stock-Duerdoth, Ben Sanders, Tashi Playle. Front row L-R: William Baldwin (College Principal), Talia Bartley, Lucy Quayle, Lisa She-Yin, Arun Pegler. Not Pictured: Cait Cassidy, John Moore, Emma Taylor-Gallardo, Tyler Rutherford, Joseph Tutt, Maya Wall, Robert Wooler, Jamie Morley, Julia Karwat, Abby Heath, Thomas Clark, Alice Penrose, Lucas Foreman.